Microsoft OneDrive is a cloud storage service that enables you to keep files and pictures online. Simply attach your OneDrive (or OneDrive for Business) files to 5pm projects and tasks to make document collaboration even easier. 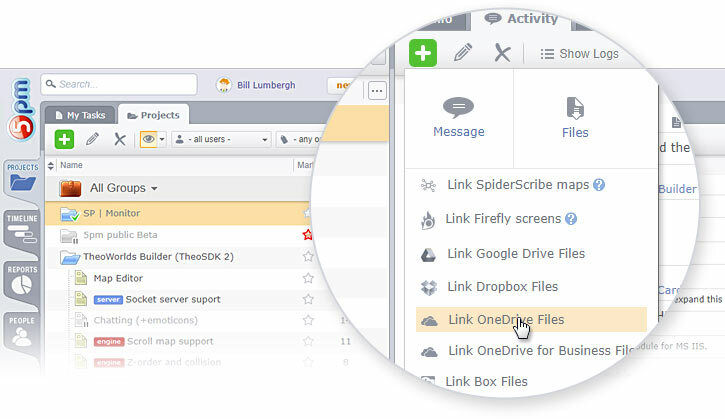 It works with Outlook 2013 and Outlook 2016 (both desktop and web clients). It does not work with Outlook 2016 on Mac and Outlook 2013 on Windows 7. You can download the add-in from the Office Store. Tired of remembering multiple logins? 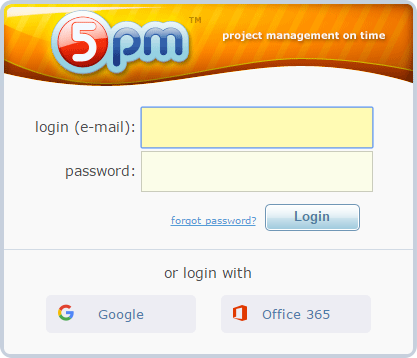 Now you can also use your existing Office 365 account to login into 5pm (even if it uses a different email address). orange5 builds modern solutions using the .NET framework and other Microsoft stacks - specializing in Office 365, Outlook, Exchange, and Azure cloud services. GOFF Concepts creates software that just feels right. Try our Outlook Profiler tool that automates Outlook profiles on the desktop. Experience the best way to search for files and folders with FileSearchEX. Experience intuitive and easy to use software for your business. Visit www.goffconcepts.com to learn more.